This article first appeared in the St. Louis Beacon, Dec. 6, 2011 - State Sen. Brad Lager, R-Savannah, says his new legislative effort to ask Missouri voters to impose a two-term limit on all statewide officeholders has nothing to do with his continued 2012 campaign for lieutenant governor, which at the moment pits him against incumbent Peter Kinder, a fellow Republican seeking a third term. This article first appeared in the St. Louis Beacon, Nov. 14, 2011 - State Sen. Eric Schmitt, R-Glendale, says he's "giving serious thought'' about running for lieutenant governor -- raising the likelihood of a surge of new Republican candidates in the wake of House Speaker Steve Tilley's surprise withdrawal last week. This article first appeared in the St. Louis Beacon, Oct. 21, 2011 - Filing begins next Tuesday for Missouri's presidential primary, now set for Feb. 7. The only question is whether the results will count. 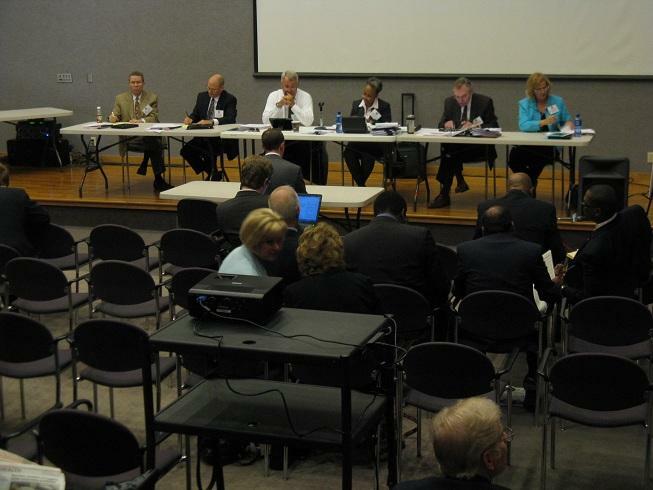 This article first appeared in the St. Louis Beacon, Oct. 19, 2011 - Mike Jones, chairman of the region's China Hub Commission, says the effort to persuade China to locate a cargo hub at Lambert-St. Louis International Airport remains alive despite the General Assembly's failure to pass related tax incentives. But he acknowledges that the legislature did inflict a wound. This article first appeared in the St. Louis Beacon, Oct. 18, 2011 - The Missouri Senate has failed to approve proposals to move the state's presidential primary to March -- or to kill it off altogether. 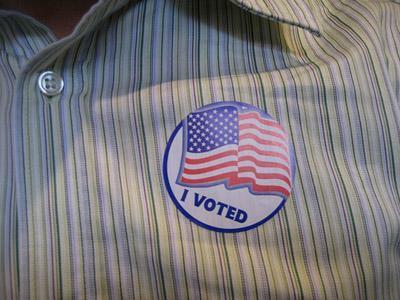 The result: Missouri's presidential primary appears to still be on tap for Feb. 7, 2012, as originally scheduled. An attempt to replace Missouri’s presidential primary with statewide caucuses has failed in the State Senate, meaning the February 7th Democratic and Republican primaries will go on as scheduled. Before the vote, some amendments were offered, including one that would have moved the primary forward to January. None of them passed, but they reflected efforts by several Republicans to preserve the state's primary. State Senator Eric Schmitt (R, Glendale) said that caucuses result in fewer people having a say in who they want for president. This article first appeared in the St. Louis Beacon, Oct. 17, 2011 - Amid uncertainty about the composition of their turf, incumbent state senators in St. Louis County continued to bring in sizable hauls for their expected re-election bids. Numerous proposals to redraw Missouri’s State House and Senate district maps were delivered today to a six-judge panel in Jefferson City. The interested parties include several current and former lawmakers from both political parties. A coalition of St. Louis-area senators pitched a map that's designed to prevent the region from losing a State Senate seat. Republican Eric Schmitt of Glendale says the metro area has not lost enough population to justify losing a Senate district. This article first appeared in the St. Louis Beacon, Oct. 13, 2011 - JEFFERSON CITY - Six appellate court judges tasked with reconfiguring Missouri's state legislative map for the next 10 years heard public testimony about how they should draw the lines. Some, like Republicans, argued for maps with few changes; others, such as a bipartisan group from St. Louis, wanted maps to preserve the region's clout; another group argued for districts with more electoral competitiveness; yet another argued for districts that wouldn't dilute the influence of minority voters. This article first appeared in the St. Louis Beacon, Sept. 5, 2011 - As state Sen. Eric Schmitt paints it, St. Louis would be a different city -- and still among the nation's largest -- if only it had built the Eads Bridge 20 years earlier. Steamboat operators, he says, forced the Eads' delay, prompting railroads in the mid-1800s to head to Chicago instead. The upshot is obvious. This article first appeared in the St. Louis Beacon, Aug. 5, 2011 - State Sen. Jason Crowell was arguably the legislative "fly in the ointment'' who last session blocked a masssive economic development bill out of concern that it didn't do enough to rein in the state's tax credit programs, which the Cape Girardeau Republican believes are out of control. 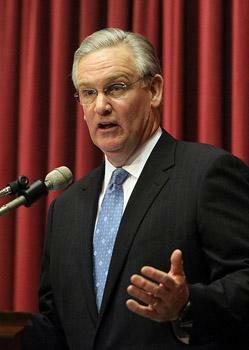 Governor Jay Nixon (D) is planning to host a meeting next week with Missouri lawmakers to broker an agreement on an economic development bill. The State House and Senate adjourned in May without passing legislation that would have created several new tax breaks, among them a proposal that would have provided $360 million in incentives to transform Lambert Airport in St. Louis into an international air cargo hub. Legislators from St. Louis County have filed bills aimed at bringing jobs back to the site of the old Chrysler plants in Fenton. The bills filed today apply to new and existing businesses located within one mile of the old plants.